The Mobile Extension Board for NanoPi NEO is an ideal solution for enhancing the NanoPi NEO series (NEO, NEO2, NEO Air, NEO Core) with access to 3G/UMTS or 4G/LTE providing data access routers, IoT solutions and much more. Integrated into the open-source environment, Mobile Extension Board for NanoPi NEO provides mobile access for data, voice, SMS and GPS. The two miniPCIxpress slots support all types of mobile engines such as Quectel, Telit, etc. providing 3G/UMTS and/or 4G/LTE access. 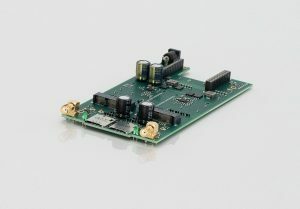 Mobile Extension Board for NanoPi NEO realizes solutions for accessing different mobile networks at the same time for higher bandwidth throughput, redundancy & reliability and different services. With VPN, Channel Bonding and other typical applications the number of use cases are nearly unlimited. Depending on the used mobile engines and mobile networks data access with up to 300 Mbits (CAT 6) per miniPCIxpress slot can be provided. Also, voice can be integrated via PCM (first slot only) and / or voice-over-USB as well as SMS and GPS. The integrated antenna combiner reduces the number of antennas from four (2 x MAIN + 2 x DIV) to two antenna outputs (1 x MAIN + 1 x DIV) to decrease the hazzle of managing too many antennas. The wide range of DC input (6V to 60V) allows the operation in various use cases. Our Mobile Extension Board for NanoPi NEO is fully integrated into the open source NanoPi NEO environment. With the available IP protocol stacks and management interfaces of the mobile engines manufacturer a native access to the mobile networks is guaranteed. The two miniPCIxpress slots of the board acts as typical USB devices to support the standard acess methods.